Founded by the conquistador Francisco Pizarro, Plaza Mayor and the surrounding old town retain their colonial feeling. In this square you will find the cathedral, one of the most fascinating examples of baroque architecture in America and home to Pizarro’s tomb. Nowadays, the home town of Nobel prize winner Nobel Mario Vargas Llosa has positioned itself firmly as the gastronomical mecca of Latin America. 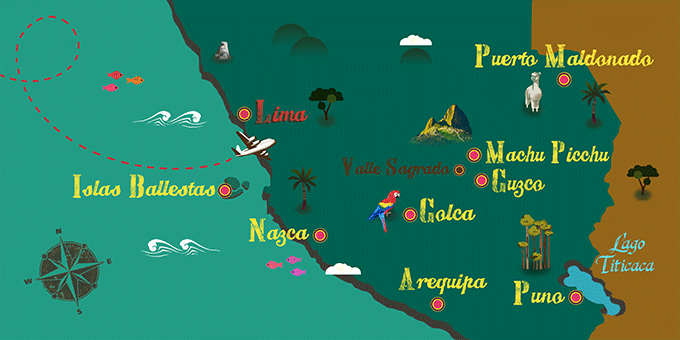 If Lima has caught your attention, leave us your number so we can call you to discuss the voyage that awaits you.